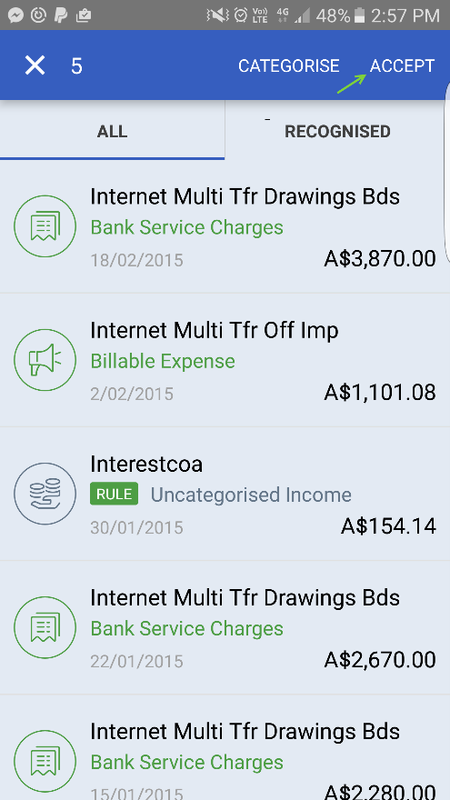 With the latest update of the Android app for QuickBooks Online, you can now view and match bank feeds with a simple swipe action. The P&L Report also has a chart option in addition to the standard report. 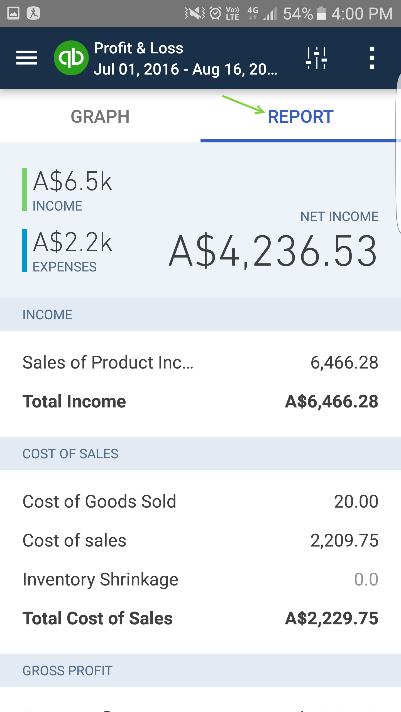 These new features help you to run your business on the go, saving time and improving productivity by giving you instant insights into what’s going on. 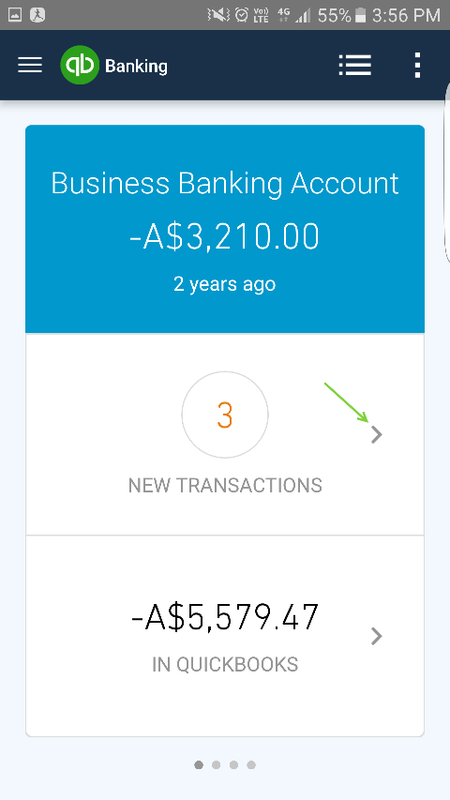 Tap Banking and then New Transactions to view your recent transactions. Swipe a transaction left or right, select Match, Add or Transfer, and then tap Accept. 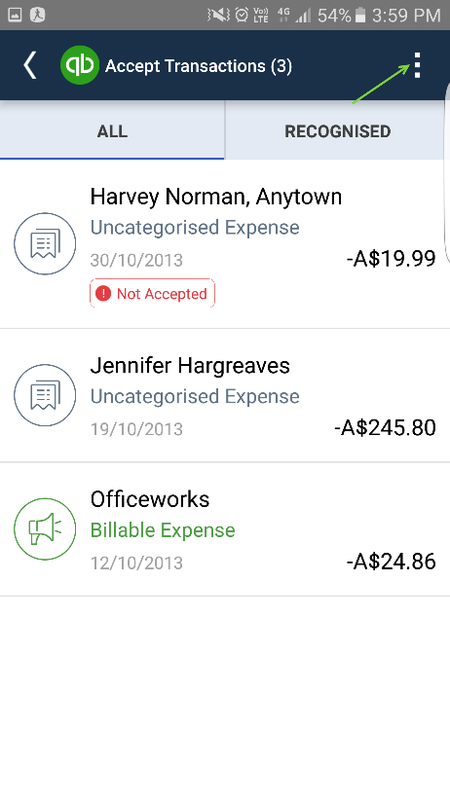 From the Accept Transactions view, tap and select Sort by. 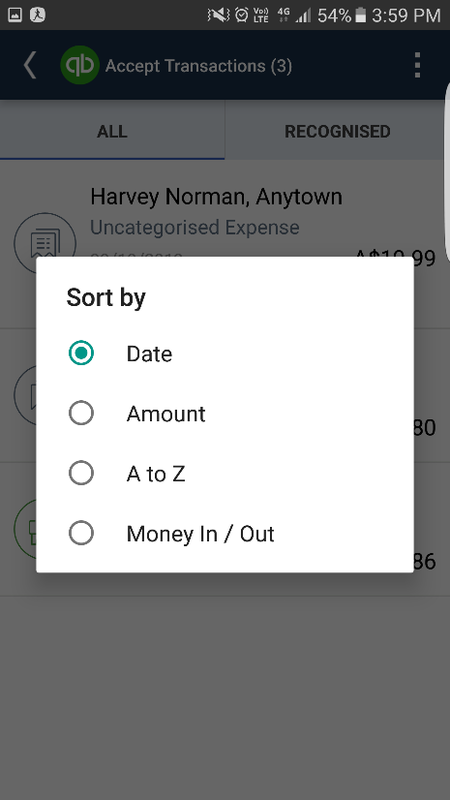 You can then sort by: Date, Amount, Alphabetically, or Money In/Out. 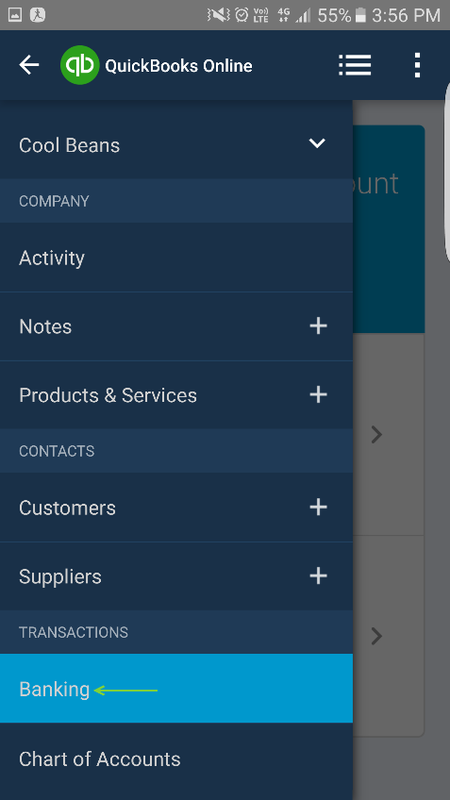 Tap and hold the first transaction, tap the other transactions you wish to apply the batch action to, and then tap Accept or Categorise. Note: To use the banking feature on your mobile, you’ll need to connect your bank through QuickBooks Online on the web first. 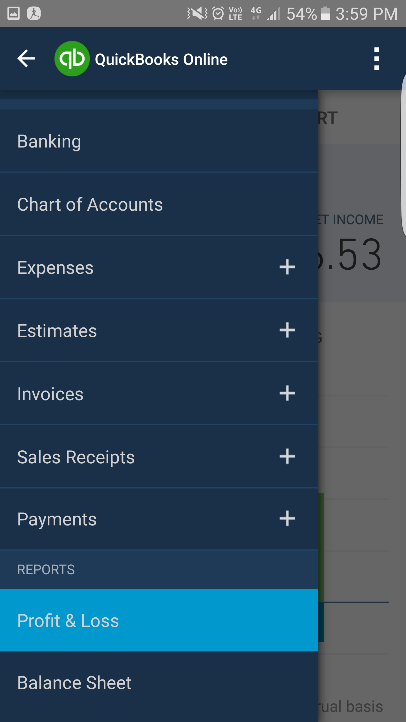 Log in via qbo.intuit.com, then click Transactions, then Banking and the Add account button. For more detailed instructions on connecting your account, refer to this tutorial. We’ve made some improvements to the Profit and Loss section by adding the option to view the data as a graph, in addition to the previous option of a standard report. 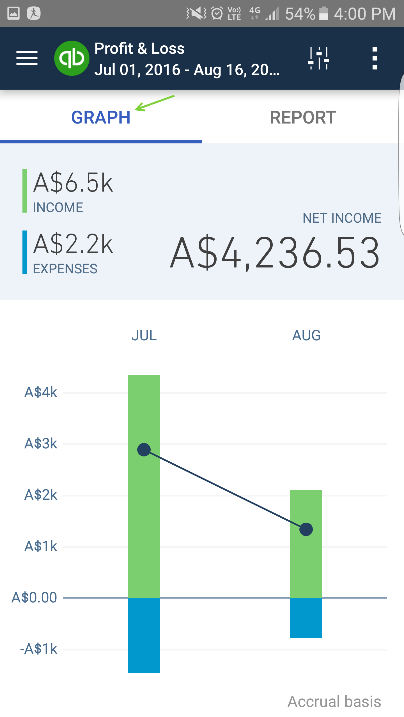 Tap Profit and Loss, and then tap either Graph or Report to toggle between the two options. 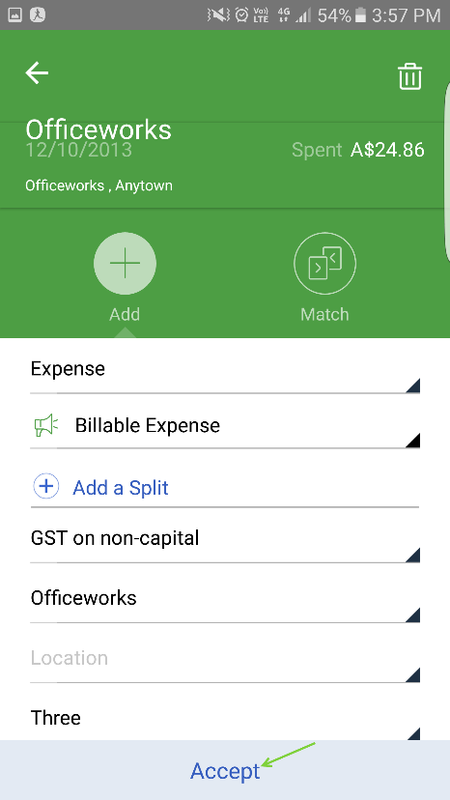 With this new update, you’ll find it simpler to track, review and approve transactions on the go.